Whether food sensitivities are on the rise or people are simply more vocal about them, it’s more important than ever to take allergies into account when building your menu. Creating a safe environment isn’t just important for your customers, it’s often the law. Fish, shellfish, peanuts, and tree nuts (like walnuts, almonds, and cashews) are some of the most common allergens, but customers can also be sensitive to other foods like eggs, dairy, soy, or gluten. What do restaurants have to do to keep up with legal regulations when it comes to food allergies? 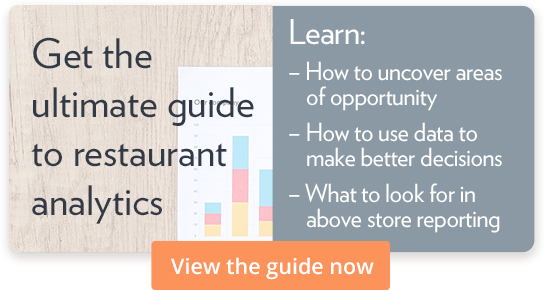 From labeling to cleanliness, here’s what you need to know as a restaurant manager. Illinois: Restaurants are required to have at least one manager on duty trained in food allergen safety. Massachusetts and Rhode Island: Restaurants must display a food allergy awareness poster in the staff area, and must include a notice on menus and menu boards instructing customers to notify staff of any allergies. They must also have a certified food protection manager on staff. Maryland: Restaurants are required to display a food allergy awareness poster in the staff area. Michigan: Restaurant staff must include certified food safety managers with allergen awareness. Virginia: The state Board of Health must include training standards to address food allergy safety, and must provide training materials for restaurant employees. New York City and Saint Paul, MN: Information on food allergies must be posted in multiple languages in all food service establishments. Nearly every major city is being pressured to enact food allergy laws in restaurants, so even if you’re not operating in any of these locations, it’s important to be prepared for what’s on the horizon. Maybe you’re already conscious of common allergens, and have menu items that are specifically free of them. Even if you think you’re doing everything right to support customers with allergies, there’s always the danger of cross-contamination. If your QSR prepares meat, you’re probably already familiar with the concept of cross-contamination: if one of your employees is slicing raw chicken, you expect them to wash their hands before touching any other food items. The same idea applies to common allergens — if an employee is putting chopped peanuts onto a salad and then continues down the prep line, they run the risk of mixing peanuts in with other ingredients. Later, a customer with a peanut allergy could order something without peanuts and still end up with traces of them in their food. Not good — allergic reactions to peanuts can be life-threatening. Cross-contamination can happen with any allergen, but the most common culprit is gluten. People with severe celiac disease can be affected by even the smallest traces of wheat gluten. A few breadcrumbs is all it can take to ruin someone’s dining experience and have a negative perception of that restaurant for the rest of their life. Make sure all of your employees (not just managers and shift runners) are trained in common allergens. Instruct employees to wash their hands and utensils immediately after handling any allergen. If an allergen is put into a food item where it doesn’t belong, like a piece of cheese dropping onto a salad accidentally, it’s never okay to just remove the item. Start over from scratch. Train your employees to listen to your customers. If a customer makes a special order to avoid an allergen, your staff needs to take every precaution to prepare the food properly (even if it slows things down). If your store’s size allows it, have a separate food prep area for gluten-free items. Gluten is notorious for cross-contamination. Does this all sound too daunting? Not sure where to start? Food Allergy Research & Education (FARE) has created a Restaurant Legislation Toolkit with details about food allergies and how you can support customers with special dietary needs. Even if you’re in a location that isn’t required by law to support customers with allergies, you may be soon — plus, it’s the right thing to do.